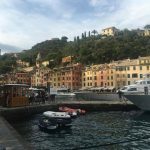 Please take a seat, somewhere comfy, in the spring sunshine with a vino in hand and let me take you to the exquisite town of Portofino, your next go to summer holiday destination. 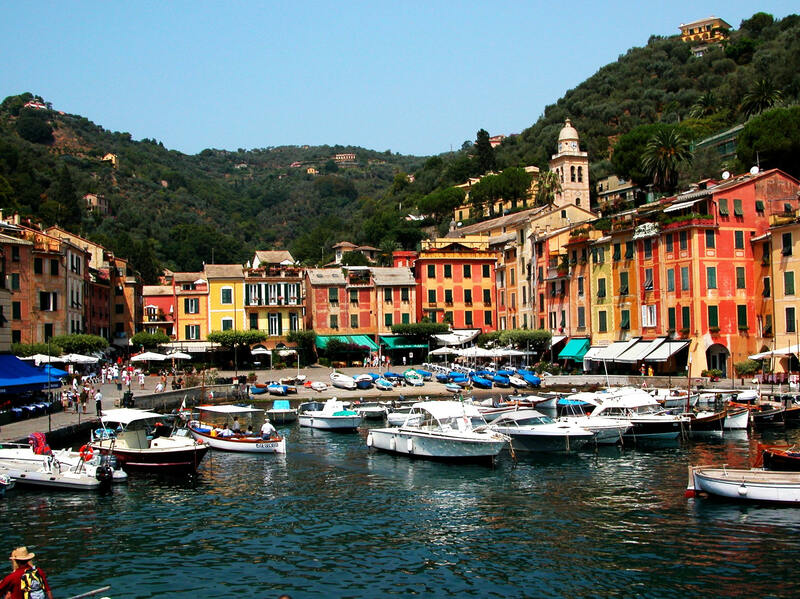 Not to be confused with Positano along the Amalfi Coast, Portofino is the Portsea equivalent of Italy, a part of the northern region of Liguria, this small fishing village is one of the more famous towns in the Italian Riviera. 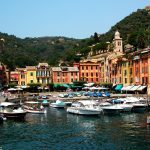 Thanks to the famous song Love in Portofino composed by Fred Buscaglione and as heard right now by Andrea Bocelli, this little village was immediately put on the map and the ultimate destination for the rich and famous. 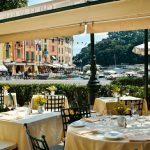 During the warmer seasons of June to early October it would not be unusual to find yourself dining next to faces like Mariah Carey, Elton John, Kylie Minogue, Beyonce and Jay Z. 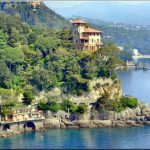 Become the ultimate celebrity spotter and try perve into the grand 35 million euro plus private villas owned by Dolce & Gabbana and neighbour Giorgio Armani. 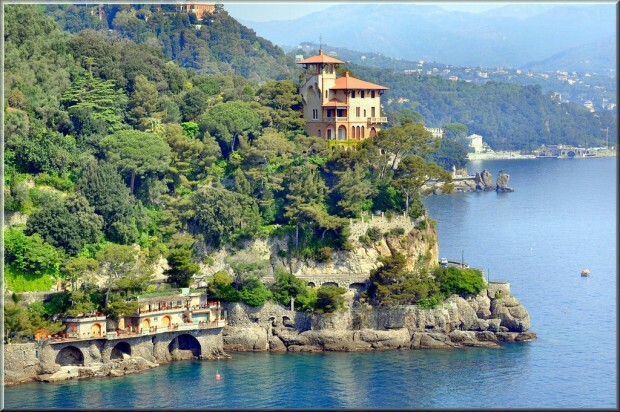 Fun fact: Both have their own private roads which have been cut in from the mountain to their underground garage, as the only other way to reach the cliffside mansions is by boat, helicopter or walk, three unconventional ways when you want to drive your holiday Ferrari to your holiday getaway. 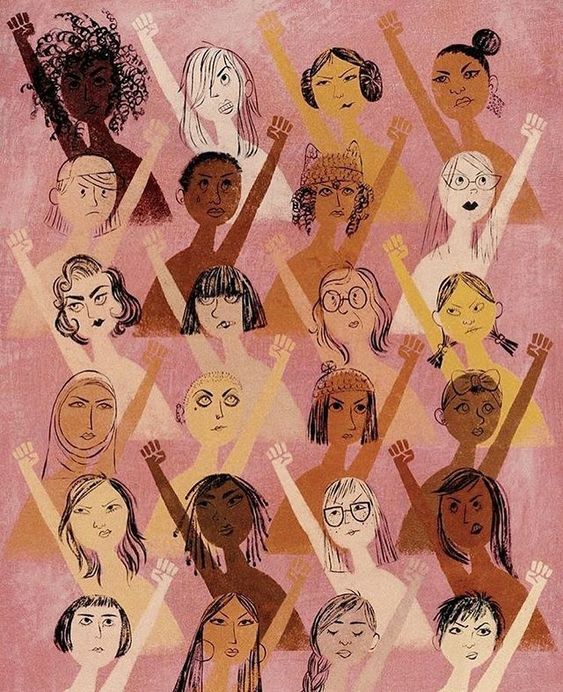 I totally get it. 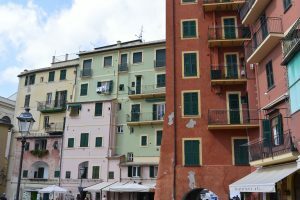 It only takes one casual stroll through the La Piazzetta to see why this town is the second home to the elite money-makers and A-list stars. Designer boutiques that we would only see on Collins Street are the only shops. The local ‘Dan Murphy’ only sells exclusive wines from the region. While all the prime cafes and restaurants overlooking the marina’s super-yachts give Monte Carlo a run for their money. This is the place where you must pretend to be ok with the price tag even when your insides are telling you to run. That first afternoon I fell in love with the most incredible linen jumpsuit, I was already envisioning myself wearing it for dinner that night, when the saleslady casually notified me that it was 1200 euros ($1750 AUD). The only way to go about it was to say I was in too much of a rush to try it on, take my peasant student hands off the pure white linen, clearly linen woven by angels, and walk out as fast as I could. Before I saw the price tag. 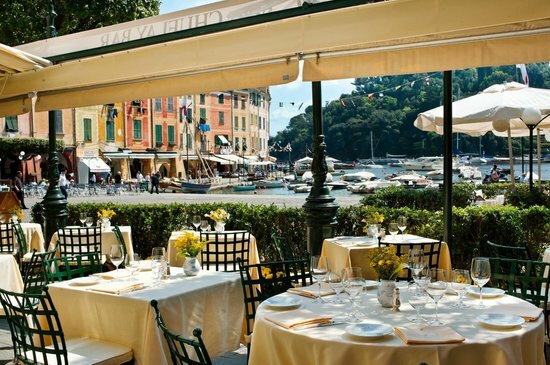 As much as the shopping may be restricted to those with lots of cash to spend, Portofino is not just for the rich. 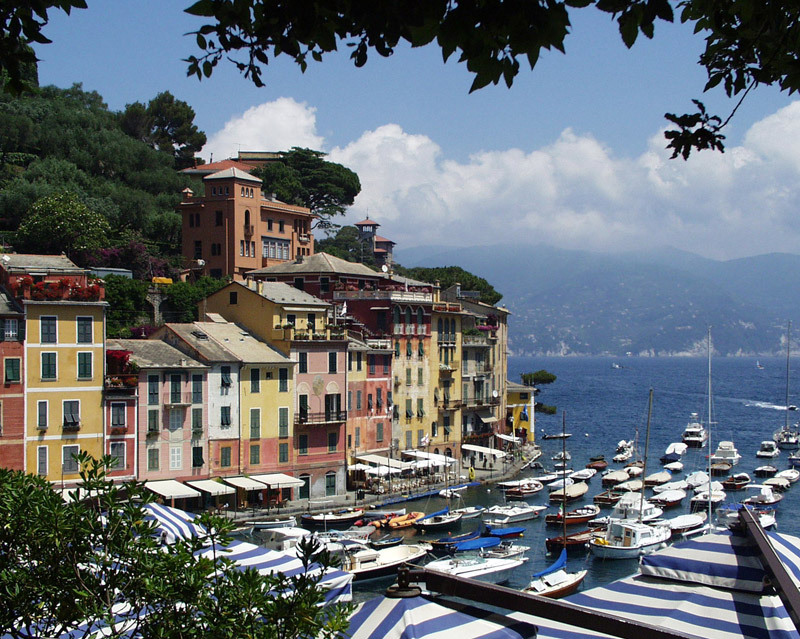 Hikes, boat trips, viewing points and close proximity to other popular villages of the Riviera means your time in Portofino, no matter how long will be full of adventure and style. 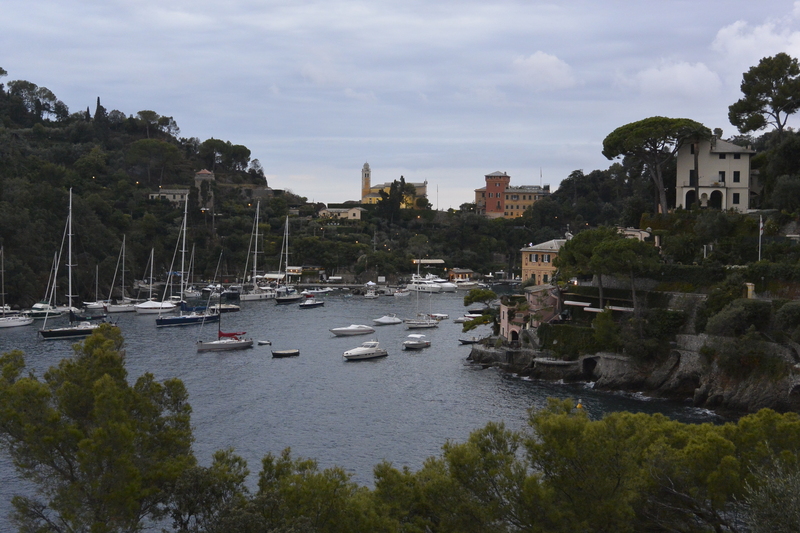 The area of Portofino is only 2km square large therefore one day is all you need to explore the town. 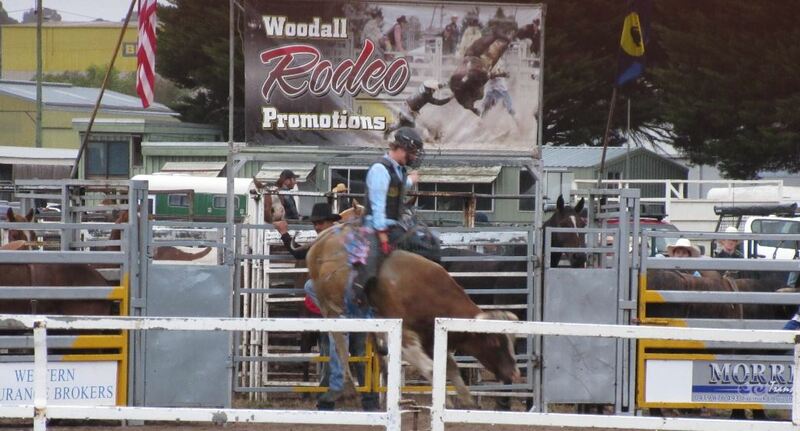 As recommended by the locals I met during my time there, these are the must-do activities. 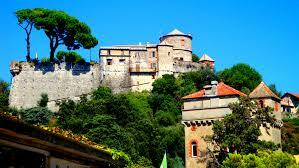 Follow the pathway up the Salita di San Giorgio, past the yellow Church of San Giorgio, to the 16th-century castle Castello Brown. This is the best place for photos of the harbour, no matter what time you go your pictures will come out too perfect not to brag on social media. 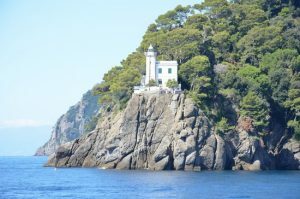 Keep walking and find yourself at the Al Faro di Lighthouse which is a Cliffside bar bragging the ultimate drink views. Tip: Stay till sunset and watch the sunset on the Marina holding over 100 million dollars worth of yachts and boats. It is recommended to have a drink in hand to help cope with watching all the millionaires sail by as they eat caviar for dinner. 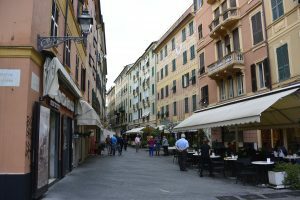 Go into town and have dinner at one of the incredible restaurants in the Piazza Martiri dell’Olivetta, known simply as La Piazzetta and people watch. Food is what you would expect from an Italian restaurant; pizza, pasta, antipasti and lots of seafood. Tip: Only eat out at lunch and dinner, as because Italians don’t eat breakfast, their morning menu is extremely small and would be classified lunch to most, oh and their eggs are an insult to any Melbournian bruncher. 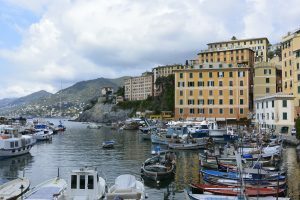 One full day must be dedicated to booking a boat tour and be taken to the five other towns that make up the Italian Riviera: Camogli, San Rocco, Mortola, Paraggi and Santa Margherita. 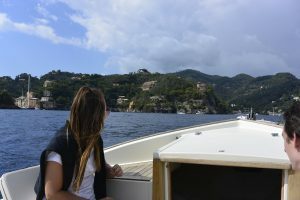 If you are a group of 4-8 it is highly recommended to splurge on a private boat tour with your very own guide. This gives you the opportunity to go where you like and when it becomes too hot on the boat just stop in the middle of the ocean and jump in. A pricey adventure but definitely worth every cent. This place is also about relaxing so make sure you take some time to do nothing but enjoy your picturesque surroundings. 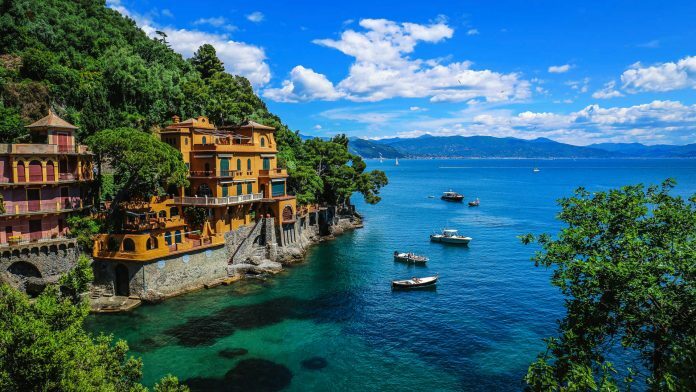 Although Portofino does not have its own beach, Paraggi beach is only a 15-minute walk away and is the classic colourful umbrella-sun lounger set up dreamt of by every Australian. 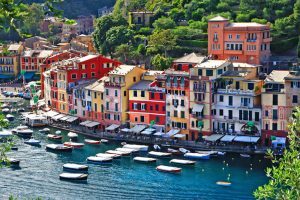 Immerse yourself in the true Italian summer holiday experience and rent a house or apartment for a few days. 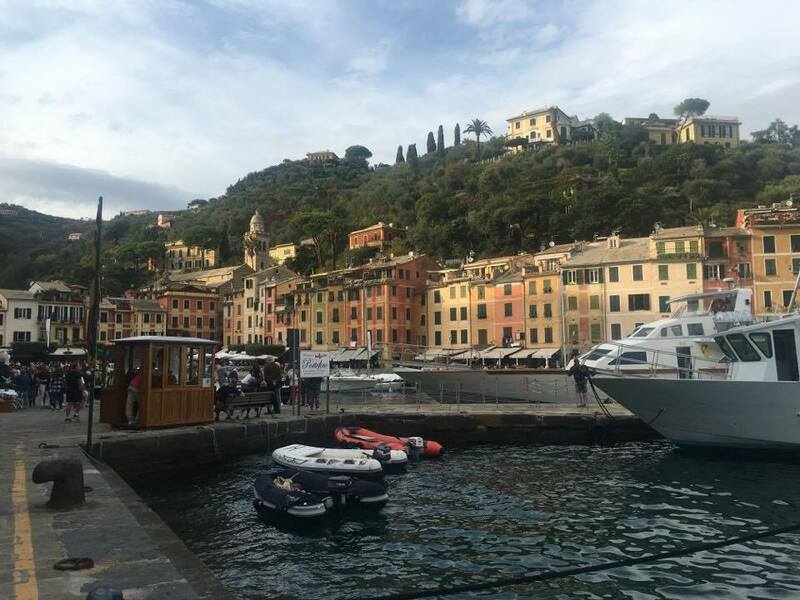 Portofino is so small; no matter where you stay will be walking distance to the harbour and Piazzetta, removing any extra travel costs whilst you are there. Prices as from AirBNB, Stayz and Trip Advisor show that an average place will cost $100-$140. 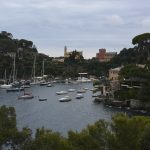 As Portofino is along the rocky coast, almost every house has a view, worthy of a 5 star hotel and so would be worthwhile to enjoy a homemade dinner on your own balcony watching the sunset. 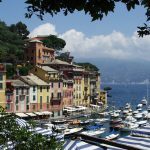 A getaway to Portofino should be the place to go for that much-needed breather any traveller has during their European holiday. 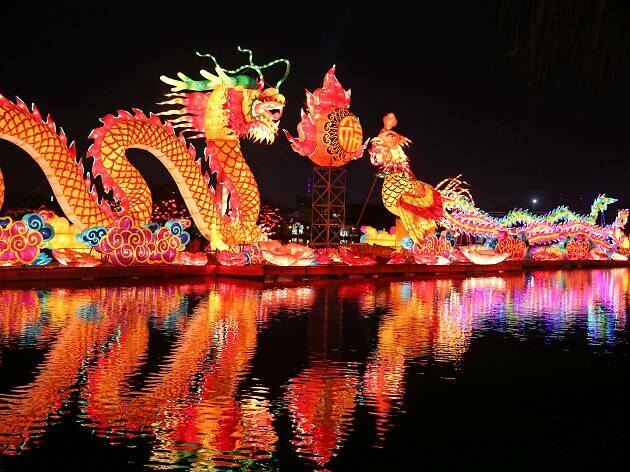 Although it can be costly in some sectors 2-3 days is all you need to enjoy the serenity and luxuriousness of the town, therefore, keeping costs down is possible. For those who are a lover of food and alcohol (find me someone who isn’t) the best selling point about any coastal town in Italy is that restaurants and bars must by law serve appetisers with any alcohol beverage ordered. 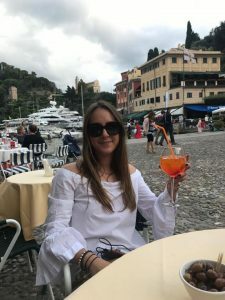 This means if you are on a budget and really don’t want to spend 12 euros on a panino with cheese order yourself an Aperol Spritz and enjoy the complimentary snacks that adjoin. 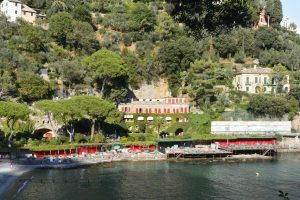 Out of all the places visited, Portofino was the most generous with their complimentary appetisers. One 8 euro cocktail got you two varieties of stuffed olives, fresh bread & olive oil with balsamic, breadsticks, peanuts, seasoned cherry tomatoes and white cheese. Top tip: to really take advantage of this fabulous rule it’s best to remember that the more drinks you order the more you receive. 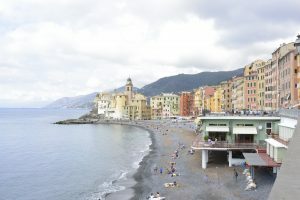 This town is perfect to visit with family, friends, your lover and even by yourself; Simply learn to say “ciao”- hello and “grazie”- thank you and you are good to go.